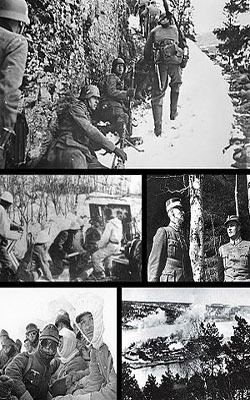 On the morning of April 9th 1940, Nazi Germany began a massive invasion of Norway with the objective of stealing the National Treasury, a massive hoard of 50 tons of gold and gold coins. But the Nordic government had a detailed plan to save Norway's gold and the royal family. As the German invasion began, Luftwaffe war planes landed at the Oslo, Norway airport and Hitler’s solders marched victorious into the capital city. Meanwhile, the gold hoard headed out of town barely escaping the invading Germans. On the night before the Nazis arrived, officials of the Bank of Norway loaded 26 trucks with 50 tons of gold. The trucks sagged under the weight of the precious cargo– the national treasury of Norway. But, the invading Nazi army was relentless. They chased and bombed the gold convoy every step of the way. Cleverly, the Norwegians split up the truck convoy. Part of the gold was loaded aboard the ship Driva amid a rain of Luftwaffe gunfire. Before the transfer could be completed, the Germans attacked. Two-thirds of the gold was reloaded onto trucks and driven west to the city of Molde, where Norway’s King Haakon VII had fled to await a British cruiser to evacuate them to England. German airplanes were attacking as the gold, along with the king and the crown prince, was being brought onboard the "Glasgow". 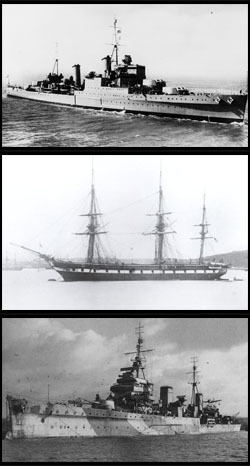 Three Royal Navy cruisers – HMS Enterprise, HMS Galatea, and HMS Glasgow – rescued the gold under appalling condition. They were attacked in port and then constantly chased, harassed and bombed by the Luftwaffe as they made their way back to the UK. However, all three cruisers safely made it to their designated ports: Enterprise docked at Devonport, whilst Galatea and Glasgow off-loaded their precious cargo on the Clyde. 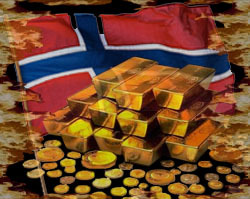 The National Treasury of Norway consisted of NOK 240 million in 1940 value worth of gold (approximately $54.5 million in 1940 American currency, or $670 million in 2007) weighing around 50 tons. 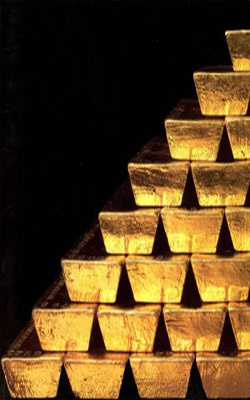 The entire gold deposit was stored at Norges Bank's main vault at their headquarters in Oslo. During the increasing tension of the 1930s, plans were made to make the deposit more mobile. When the Second World War broke out, these plans were accelerated and the gold was packed into 818 crates of 40 kg, 685 crates of 25 kg and 39 barrels of gold coins, weighing 80 kg each. When news reached the government in the early hours of 9 April 1940 that the patrol boat Pol III had been attacked and that enemy ships were approaching Oslo, orders went out to evacuate the deposit to the vault in Lillehammer. Civilian transport was requisitioned and some heavies from nearby businesses were called in to help load the gold onto the lorries. The lorries left one after the other as they were fully loaded, some far over their maximum weight. Just as the last trucks left Oslo, the Wehrmacht marched into the city. At Lillehammer, the gold stayed for a few days until reports came in that the advancing Germans were approaching. It was decided that the gold was to be loaded onto the train that was also to carry the King and the government of Norway. The Germans were now aware of the dignitaries and treasure stationed at Lillehammer, and a group of Fallschirmjägers decided not to sit by idly while the King, the Government and the Treasury fled. They massed on buses and raced for Lillehammer, but were stopped by a motley collection of Norwegian soldiers at Midtskogen. Some soldiers from Jørstadmoen were ordered to go to Lillehammer to guard the train. Among them was the poet Nordahl Grieg, who was the only private travelling with the Treasury who was aware of the crates' contents, hinted at only by the letters 'NB'; civilians were typically told that they contained ammunition. The train left on Friday, April 19 and arrived in Åndalsnes on Saturday, April 20. The Germans realised that there was something special about the train, and Åndalsnes was bombed several times, without resultant damage to the train. It then moved on to Romsdalshorn station, outside of Åndalsnes, to secure it from further bombing raids. Åndalsnes proper was bombed to destruction. In addition to hosting the King, the Government and the National Treasury, Åndalsnes was a staging area for British expeditionary troops, who landed at the town and were moved by train south-eastward to meet the Germans in Gudbrandsdalen. The British military authorities were told about the Treasury at this point, and greeted with delight news of its flight from Oslo with hours to spare. They were told by the Norwegians that the gold should be carried by ship to Britain and perhaps onwards to America to secure it. 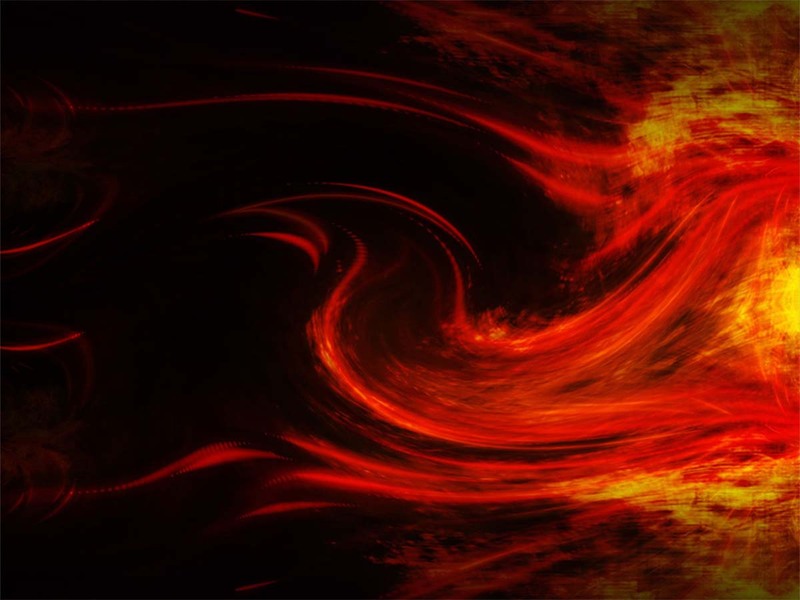 It was decided to spread the risk and load the gold onto three different ships. The first, the British cruiser HMS Galatea embarked from Åndalsnes on Thursday, 25 April. It was decided that Åndalsnes was now too risky a place to keep the deposit, as furious air raids from the Germans continued and the German troops were approaching the town with great speed from Gudbrandsdalen. The well-equipped, well-trained German troops cut through the lightly armed and poorly trained infantry units from Britain and Norway. Some 23-28 lorries were requisitioned from the surrounding area and the gold loaded into these. They were to be driven to Molde, where the British cruiser HMS Glasgow was to take the king, the government and the gold to Tromsø, and from there bring the gold to Britain. When they arrived in Molde, the city was being bombed to ruins. The managers of the deposit were able to load half of the gold on board the Glasgow. It shipped out on Monday, April 29, leaving behind a great deal of gold in Molde. It was then decided to bring the rest of the gold north to Tromsø using coastal transportation. The coastal steamer Driva was brought to Molde and 10 tons of gold were rapidly loaded. German bombing put an end to this loading; fires and severe damage to the docks posed a risk the Norwegians were not willing to take. Thirty crates were left in Molde when the Driva shipped out. They were loaded on trucks to be driven north and meet up with Driva at Gjemnes. Driva was attacked by German planes several times, and was beached by her captain to avoid sinking. Five fishing vessels from Bud and Hustad were then requisitioned to bring the gold from Gjemnes, in the hope that the Germans would not suspect them. The five boats were Heimdal, Barden, Svanen, Leif and Gudrun. The skippers was Hans M. Inderhaug, Harald Tungehaug, Engvald Sunde, Emil Skottheim and Alfred Skottheim. The gold arrived at Gjemnes without incident. The gold from the trucks were then loaded into the vessels and they continued north to Titran at the island of Frøya in Trøndelag on Saturday, 3 May. At this point the soldiers from Jørstadmoen were sent home and the fishing vessels relieved of duty. Two larger fishing vessels were requisitioned to continue the journey. The HMS Glagow later in the campaign, transferred King Haakon and Crown Prince Olav of Norway and part of the Norwegian gold reserves when they fled from Molde to Tromsø, escaping the advancing German forces in their country. The two fishing vessels arrived in Tromsø on Saturday, 24 May. Here the gold was loaded on the British cruiser HMS Enterprise which departed Harstad the same day with the last 19 tons of treasury gold. The cruiser first sailed to Scapa Flow, surviving two German air attacks on the way, then proceeded to Greenock were the gold was brought ashore. Once in Britain, it was rapidly brought by train to London and stored in the vault of the Bank of England. It was later decided to bring the gold to America, and it was shipped over the Atlantic by installments and arrived in Canada. The Norwegian Minister of Finance happily reported to the government that of the 50 tons of gold that initially left Oslo, only 297 gold coins were missing (because a barrel was damaged during transportation in a British vessel). The gold remained in America, and was gradually sold there - partly to fund operations of government in exile. Ten tons of gold coins were brought to Norway in 1987.